A concrete driveway is a smart and cost-effective choice for your home. Whether you opt for traditional concrete driveway installation or want to create a unique driveway from interlocking concrete pavers, working with experienced concrete contractors near San Antonio to complete this project is the best way to ensure your driveway looks great and performs as expected for decades to come. 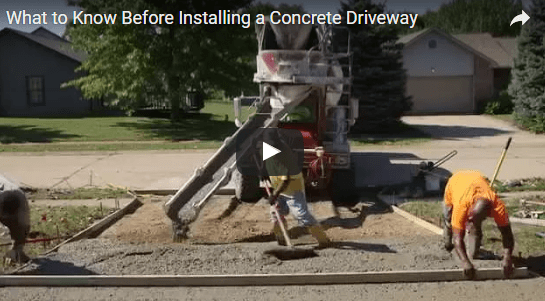 This video discusses some factors to consider prior to concrete driveway installation, including the type of costs you should expect. You’ll also learn more about the concrete installation process and the steps your contractor will take to prevent cracking and other damage over time. Working closely with your concrete contractors is the best way to ensure you understand the type of product you are getting, while also giving you the opportunity to voice your opinions about the design of your driveway for the results you want.